I took up dancing again, I had danced whilst a young girl under 12 doing the medals as a hobby, when I was left on my own with 2 young children but 3 very good Baby Sitters - my Mum and Dad and my Brother - who insisted that I needed to get out at least one evening a week as a break. I decided to go back to dancing for fun. I had a great time and enjoyed catching up again with the dances - half forgotten - but a bit like learning any craft the basics were still there. Nine months later I met Chris who also enjoyed dancing and had taken medals before he met me. He had been transferred up to Malvern to work and we met at a Class. We have enjoyed 14 years of being together, 12 of them married, and all of them happily dancing. We love all types of dance - Ballroom, Latin American, Scottish, etc..
We have been on dancing holidays and enjoyed many balls and dance events. We now dance (our children are 18 and 20) as often as we can but at least - Tuesday's, Thursday's and Saturday's. Dance has contributed hugely to my life - it gave me a wonderful Husband and my 2 children a marvellous Father. It keeps me fit and healthy and is a brilliant way of making friends and travelling. Everything from the Practice sessions to the fun Classes and the dress up Balls is fantastic. 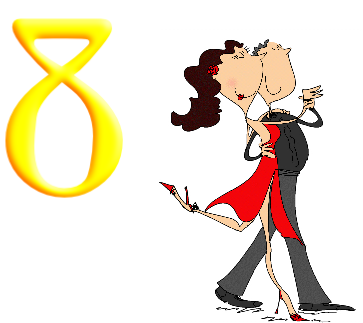 We enjoy attending the Dance at 8 events and hope for more to come. Regards, E. W .
I have always wanted to try Dancing Classes from a teenager but my time was taken up competing seriously (International level) in Fencing until my late thirties. The only dancing I did (if you could call it dancing!) was at the local night clubs where, during my twenties, I would use disco style dancing on a weekly basis as part of my aerobic fitness programme. I eventually gave up competitive fencing and looked for a new interest that was active, enjoyable, social and local, which I could do on a weekly basis. I started attending your classes and have not looked back since. I look forward to all classes, enjoy them immensely while I am there and then cannot wait for the next session. I am hooked!! I suppose if I had to pick a few of my favourite dances they would include the Waltz, Samba and Argentine Tango but I like all the styles. Dancing has brought a twinkle back into my eye, an eagerness to learn new dance steps, therefore regenerating my brain cells and given me a chance to meet new friends. I just wish that I had taken up dancing much sooner. Come and find out what Dancing will do for you ! Through our Newsletter we asked our readers what dancing has meant to them.